This NEW addition to the Plink brand expands the product line outside of the sink and drain, to appliances. Plink delivers a fresh and clean boost to your washing machine or dishwasher. Our innovative fragrance technology washes away foul odors, leaving your appliance and room with lasting freshness. 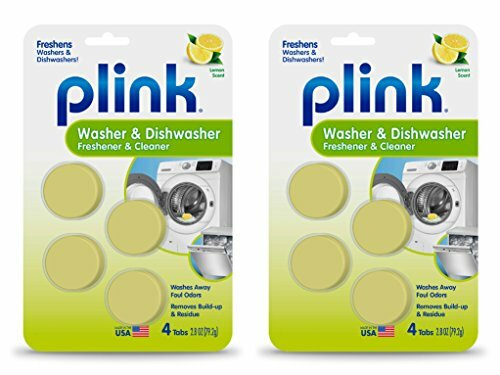 A quick and effective washing machine and dishwasher freshener, Plink also removes buildup and odor-causing residue from the hidden parts of the machine. A quick and easy way to freshen your appliances! If you have any questions about this product by Plink, contact us by completing and submitting the form below. If you are looking for a specif part number, please include it with your message.